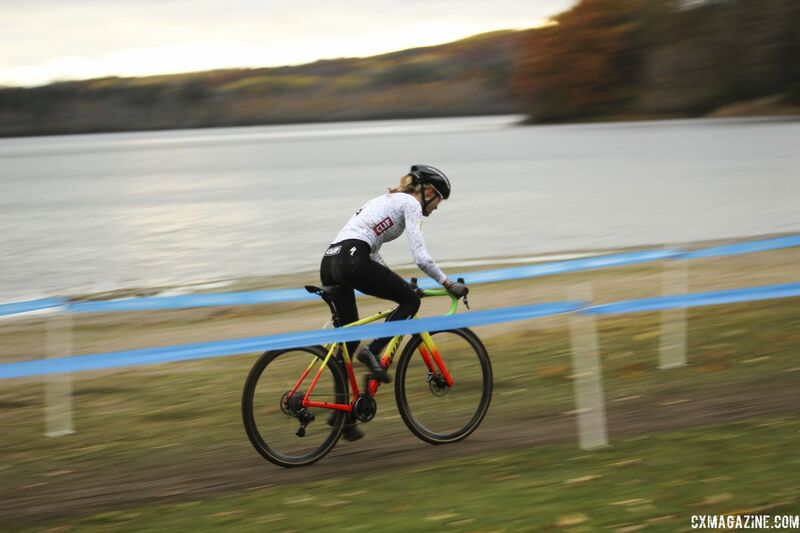 When Pan-American Cyclocross Championships race director John Hauser announced the annual Continental Championship race was moving to Midland, Ontario for 2018 and 2019, it was a sign of the continuing growth of the sport in Canada. 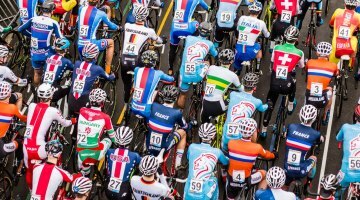 After hosting one UCI weekend in 2017 at the Silver Goose CX, the announcement about Pan-Ams was accompanied by news of three other UCI weekends. The season-opening Toronto weekend ended up getting canceled, but Canada’s calendar still included five UCI C2s—including Sunday’s C2 in Peterborough after Canadian Nats—and the Continental Championships. I would guess for many of us, the move to Midland piqued our interest about the event. 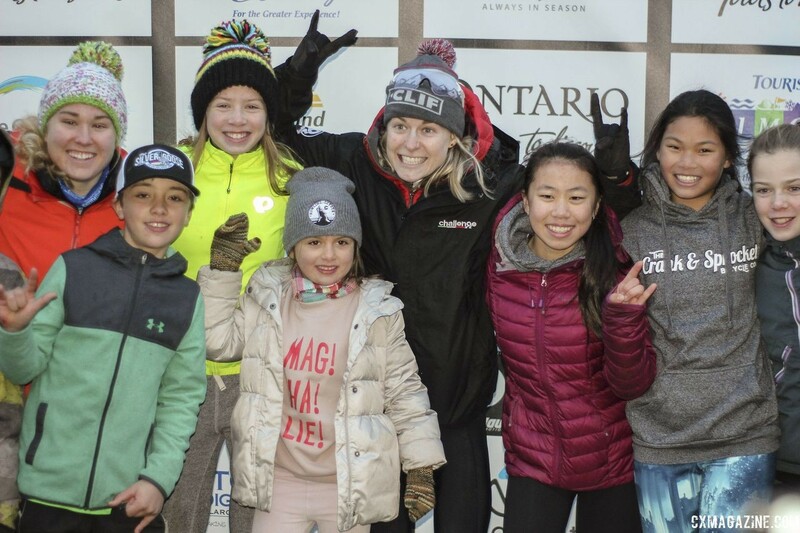 Midland is located in a region north of Toronto that few of us had likely traveled to, and the 2018 weekend also included the first-ever Masters Pan-American Championships. In a lot of ways, the Silver Goose CX is everything great about what a cyclocross event can become with a team dedicated to its success. 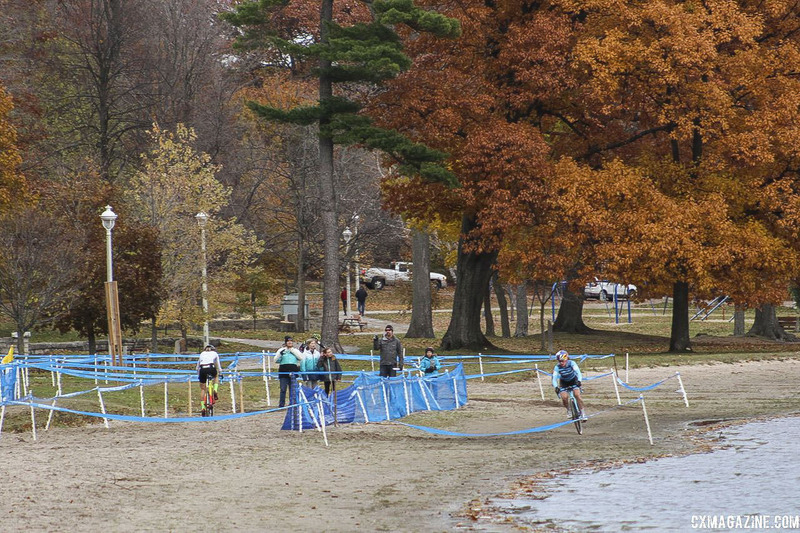 The Silver Goose CX was first held at Midland’s Little Lake Park in 2014 when a total of 74 people came out to race. Two years later it hosted the Ontario provincial championships. In 2017, it became a UCI C2. 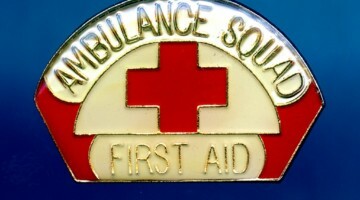 With the upgrades in designation have come increases in participation. 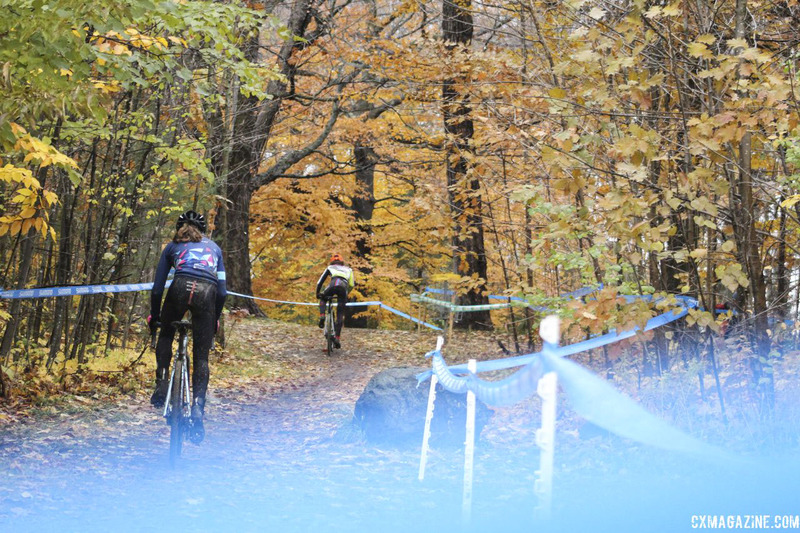 Saturday’s Masters Pan-Ams, Silver Goose CX UCI C2s and Sportif amateur races drew over 340 participants. This story heads back to Midland for a look at the venue and loud Canadian crowd at Pan-Ams. I then take a look at the storylines of the first two-thirds of the domestic calendar and how they played out perfectly on the ’cross course at Little Lake Park. 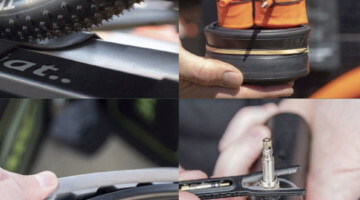 In our coverage last year, we got sneak peeks at the stairs and sand that played a key role in the Elite races last year. Athletes who headed up to Midland last year to race the Silver Goose CX verified that the course was legit and send-it certified. 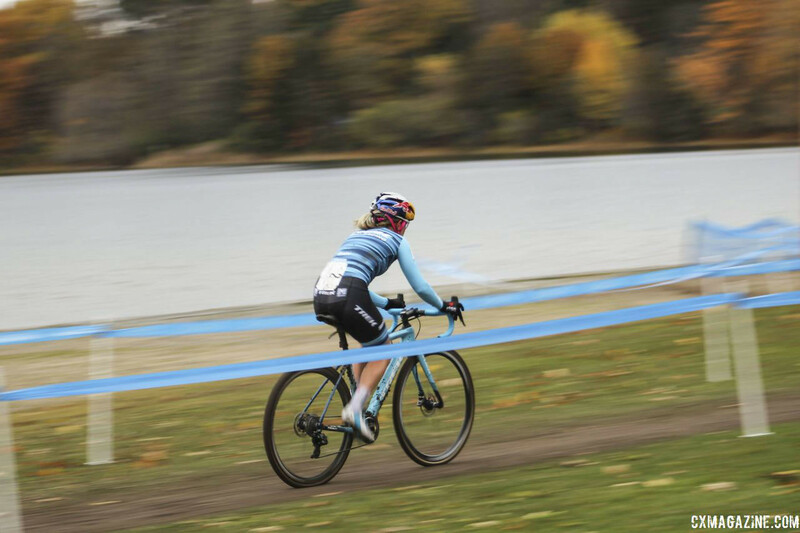 Upon arriving at Little Lake Park, even with the rainy, overcast weather on Friday, it was immediately evident that the park was a beautiful setting for cyclocross. Fall colors in full bloom helped create a beautiful backdrop for a course that got increasingly muddy as Friday’s course-inspection progressed. Not convinced? Bruce Buckley, who has photographed a number of cyclocross races in his day, called it one of the most picturesque venues he has ever been to. I will admit that sense of place of cyclocross courses—where they are located, how they are laid out—is really interesting to me. I used to read the atlas during silent reading in grade school, so I think it was a future I was destined for. For previous races, I have put together course preview photo essays such as the one for World Cup Waterloo and last year’s Pan-Ams in Louisville. This year the plan was to shoot some quick videos of cool features, put them on Instagram and head out to enjoy Midland’s nightlife. That said, I can see why riders who raced at Little Lake Park in 2017 raved about the design. It was a tight, punchy layout with features like the sand and the technical ups and downs that required constant focus. 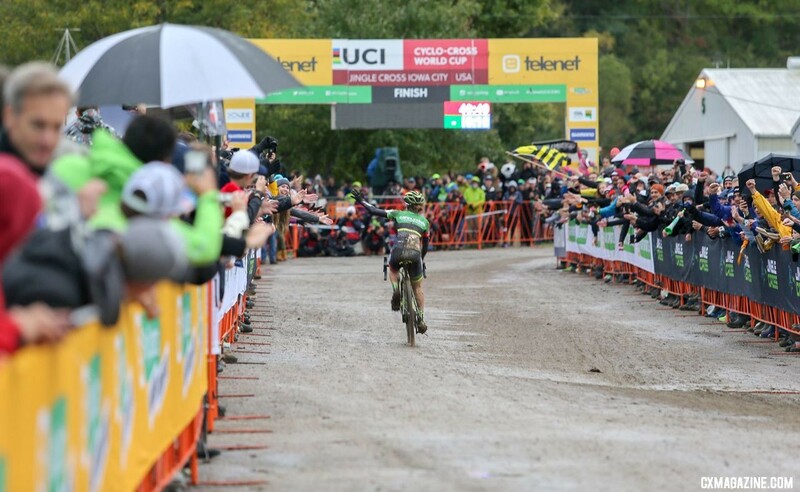 As we saw on Sunday, the sand section at the end of the lap was constantly on riders’ minds and ultimately played a role in the outcome of both the Elite Men and Elite Women’s contests. Overall, impressions of the course seemed positive and Continental-Championship caliber. 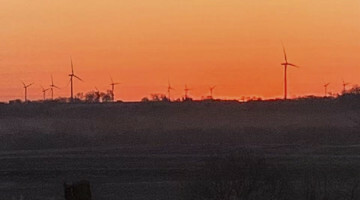 Not bad for a small, rural-ish town 90 minutes north of Toronto. Pan-Ams will return to Midland in 2019, so there is a chance to continue to make improvements. After Sunday’s racing, I sat down with Bill Schieken and Bruce Buckley to chat about the weekend, and Schieken offered some things that can and most likely will be improved upon for next year. Foremost among these was the spacing between barrier fences along the start/finish straight that Curtis White narrowly avoided during the Elite Men’s finishing sprint. Maghalie Rochette’s fifth-place finish at the 2017 World Championships in Bieles was a sign of the growth of Canadian cyclocross, especially among its young athletes. 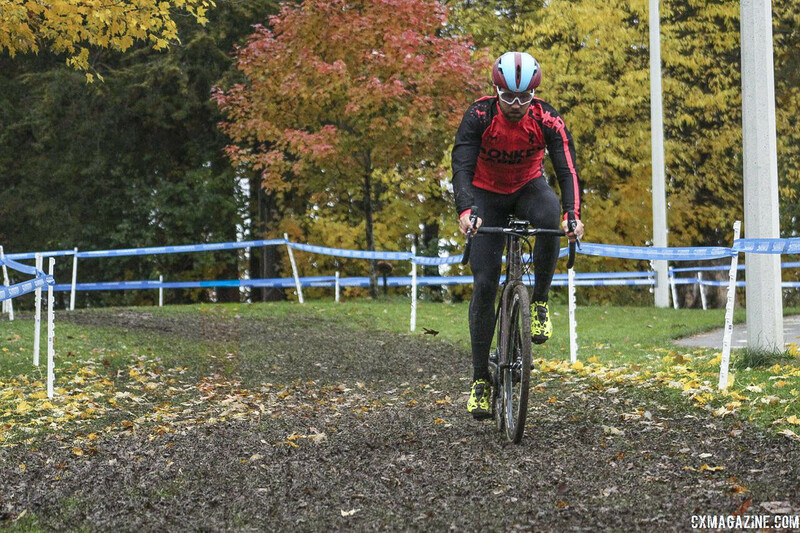 Rochette, Michael van den Ham, Ruby West, Gunnar Holmgren, Tyler Clark and other young Canadians have made ’cross a focus, suggesting much more success is on the horizon. 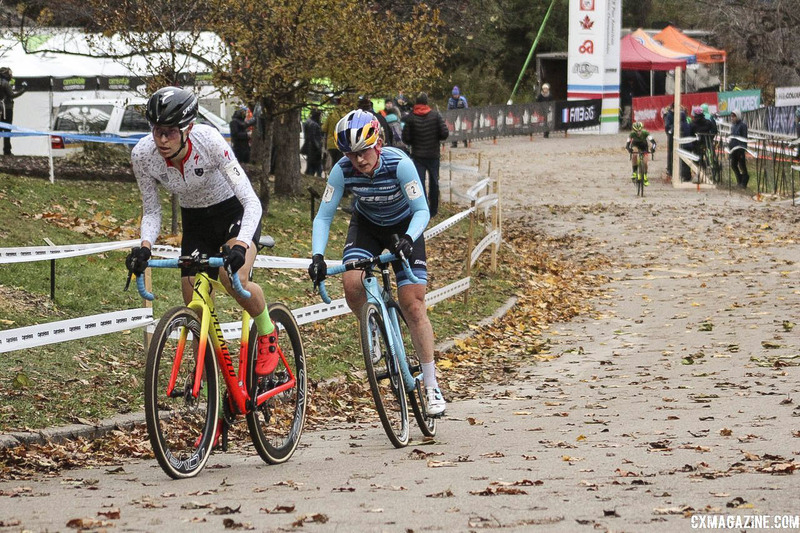 Although it has now achieved success at the Worlds level, the Canadian cyclocross program has made Pan-Ams success a key focus of their season. 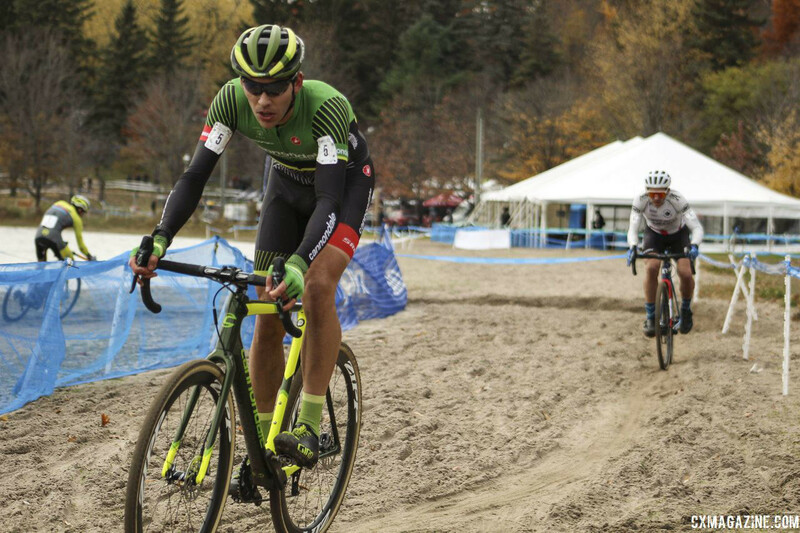 Michael van den Ham serves on Canada’s cyclocross committee, and after his race on Sunday, he said the goal was at least one Pan-Ams podium. As results would show, the Canadian ’crossers were being far too modest. Based on the energy at the venue on Sunday, it was as if the Canadian crowd knew how important the day’s races were to the racers. The Canadians spend most of the season as the away team racing in the U.S., but on Sunday, Rochette, Van den Ham and the others were very much the home team in Midland. 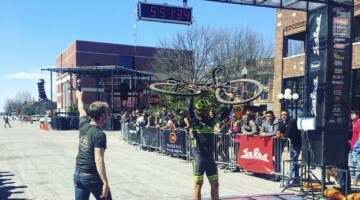 Midland’s population is about 17,000, making it a very small city by cyclocross-hosting standards. Despite the city’s small size, folks came out to watch the racing. Brook Watts has said something to this effect in the past, but maybe it was good the race took place in a small, rural town. 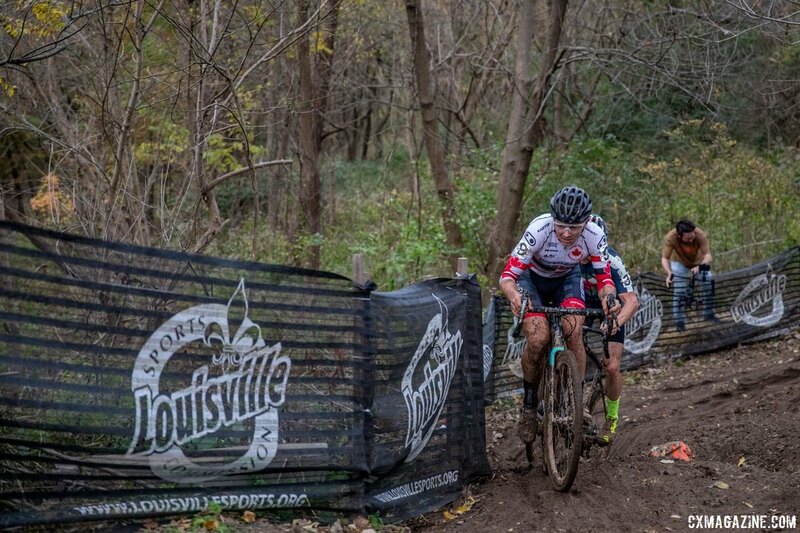 Most of the UCI races in the U.S. take place in big cities—Baltimore, Washington D.C., Boulder, Sacramento, Louisville, Cincinnati and even Iowa City—where there are many events for a cyclocross race to compete against. With fewer things happening last weekend in Midland, maybe it drew more casual fans like the gentleman I interacted with. It’s just a thought. 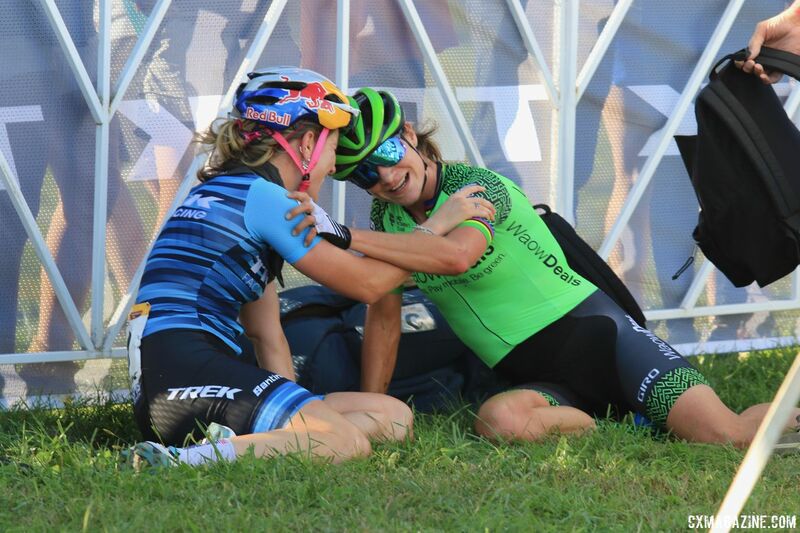 Two of the coolest moments of the weekend occurred during the two Elite races. The course was set up such that the race announcer could see down the start/finish straight, but it was difficult for him to see the sand section at the end of the lap. At the end of Lap 7 when Michael van den Ham popped out on the pavement right behind Curtis White, the venue announcer said something to the effect of, “And there’s Michael van den Ham right with White,” and The. Crowd. Went. Nuts. The same thing happened again at the end of the Elite Women’s race when the white jersey of Rochette appeared first at the end of the final lap. Again, The. Crowd. Went. Nuts. Politely, of course, because Canada. Van den Ham was obviously disappointed and crushed after his race after coming so close to winning the Pan-Ams jersey. He collapsed on the ground after the finish and in a semi-dazed state talked to the impressive gaggle of Canadian reporters who came to the event. As journalists, we do our best to remain neutral no matter how we feel about a given athlete, but as Van den Ham got up, the reporters, photographers and fans gathered around him gave him a round of applause. I have to admit, it gave me some feels. In conclusion, the Canadians brought it in Midland all weekend. I am not big on comparing race crowds to one another because every race’s situation is different, so I will just say that the Silver Goose CX weekend had a special energy to it that was fun to be a part of. 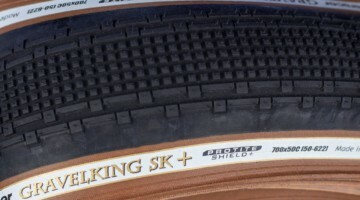 The Pan-American Cyclocross Championships were first held in 2014, and the race became a target for North American cyclocrossers almost instantly. One could argue that the race is now the second most important—or maybe even most important for some—race on most North Americans’ calendars. With a jersey on the line—and one athletes very much want to be able to wear over in Europe—the racing at Pan-Ams has been, to borrow the words of Stephen Hyde, off the chain. In my recent interview with Kerry Werner, he said last year in Louisville he collapsed at the finish, and he is very much not a proponent of collapsing at the finish. If seeing the sport’s best give everything they have in a race is a thing you are into, I cannot recommend attending Pan-Ams highly enough. Every single rider left everything out on the course and it was really special to get to watch. 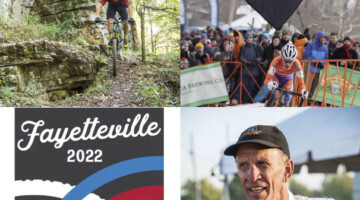 Each year before Nationals, we have chats around the Cyclocross Magazine virtual office about what we want to see from Nationals and Worlds. I always fall in the camp of not wanting accidental or fluke winners in championship races. At Pan-Ams on Sunday, the season’s best rose to the top and played an essential role in the Elite race outcomes. Looking back, in a way, both Elite races served as a microcosm of the domestic season thus far. Below, I take a (probably too) deep look at the season’s storylines thus far and how they played out in the Pan-Ams races. Since we usually report on the first race first, I will start with the Elite Men’s race. Thus far, the 2018 domestic season has, sadly, been defined by injuries. Jeremy Powers got sick before the Waterloo weekend and has yet to fully recover. Stephen Hyde had an impressive Rochester, but then broke his sternum at World Cup Waterloo and missed most of October. Spencer Petrov suffered a concussion at Rochester and is still on the mend. Drew Dillman had a strong start to the season but then broke his hand. The injuries have obviously had a profound impact on the racing. 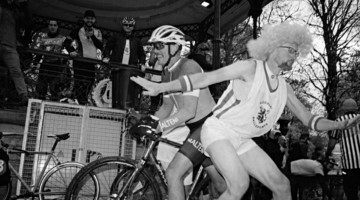 Men’s domestic racing has followed a cyclical script thus far this decade. In the early 2010s, Jeremy Powers got over the top and took over the ’cross peloton crown from Tim Johnson, Ryan Trebon and Jonathan Page. He was unbeatable in 2014 and 2015 before Stephen Hyde rose to the ’cross throne in 2016. Last year, after an early-season illness, Hyde was nearly unbeatable from Cincy through the end of the season. After Rochester this September, it looked like Hyde was well on his way to another monster season. In a race that has produced group racing in recent years, Hyde basically dropped the group. 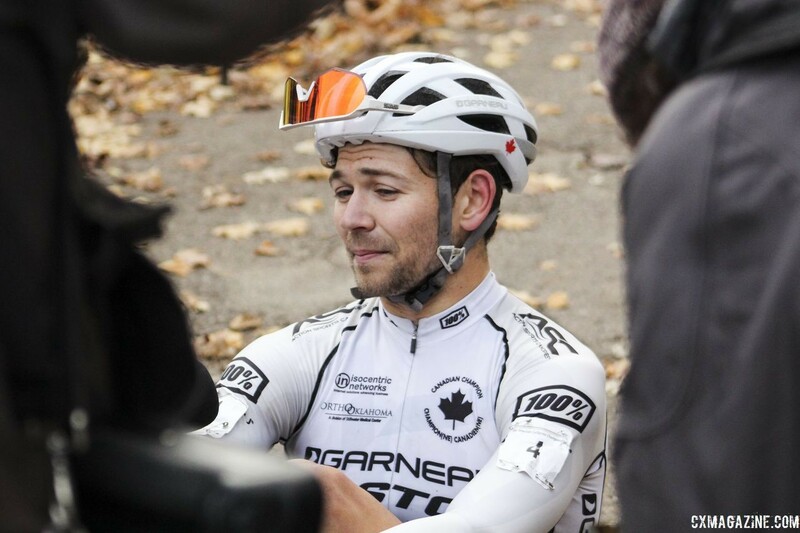 Two weeks later, he was out with an injury after a crash at World Cup Waterloo. The rider who stepped up in Hyde’s place was Kerry Werner. 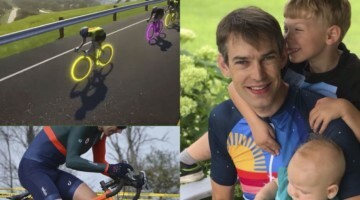 Werner has won seven UCI races this season, including the C1 at Charm City, but he would be the first to admit he did not take over the crown from Hyde. In 2018, there has been no dominant force and no changing of the guard. 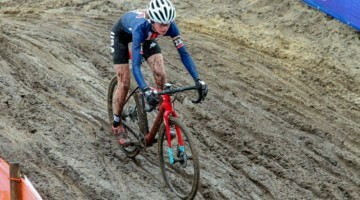 It is a bit of new territory for U.S. men’s cyclocross. After breaking his sternum in Waterloo, Hyde made his return in Cincinnati. He finished a disappointing 10th in Saturday’s C1 there but bounced back to reach the podium on Sunday. 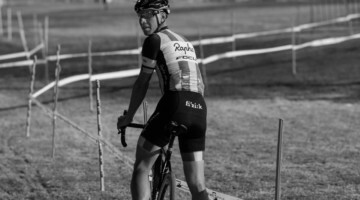 He continued his return to form on Saturday in Midland by taking second in the Silver Goose CX C2. As Hyde recovered to overtake Werner and Van den Ham at the end of Saturday’s race, there was very much a sense at Little Lake Park that Hyde would be part of the conversation on Sunday. Last year’s bronze-medal ride at Pan-Ams was one of the best races of Van den Ham’s career—one perhaps only topped by his Canadian Nationals win the previous week. From Day 1 of the 2018 season, Van den Ham had Pan-Ams circled as a race where he wanted to improve on that third and win. However, the 2018 season has not been the kindest to Van den Ham. 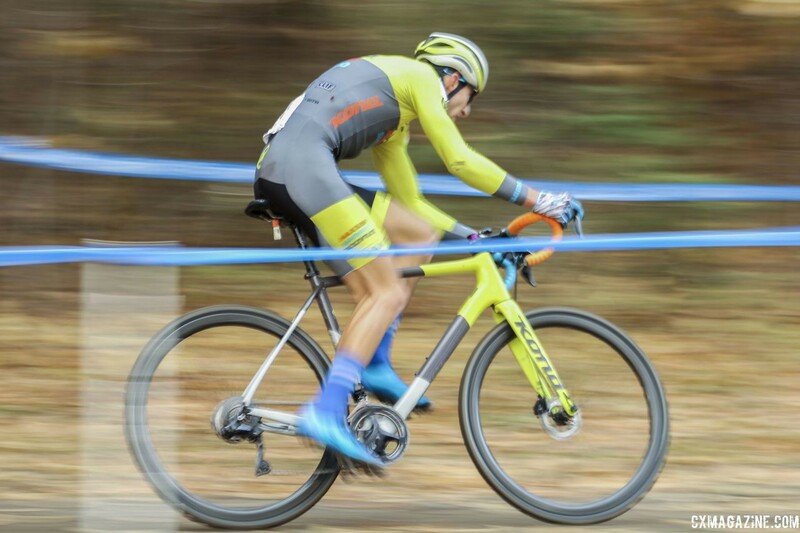 His only UCI podium was on Saturday at the Silver Goose CX, where he finished third. Still, with a course very much suited to his climbing and technical skills and a race taking place on home turf, no one was counting Van den Ham out on Sunday. Those were the three favorites. The wild card heading into Sunday’s Pan-Ams race was Curtis White. White’s teammates Hyde and Kaitie Keough have gotten a lot of attention in recent years, making it sometimes easy to overlook him. He has done really well in the Vittoria Northeast Series—including four wins so far in 2018—but during the past two years, he has finished third or off the podium at most non-Vittoria domestic races. After a disappointing flat at Reno Nationals and skipping Worlds to graduate from college, White headed to Midland looking for a standout win for his young Elite palmares. We will get to the U23 Men’s race later on, but any conversation about Elite domestic racing is not complete with Gage Hecht. Last year, Hecht showed at Cincy and Louisville that he could hang with an on-fire Stephen Hyde. 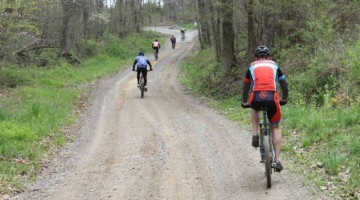 This year, he took wins in the C1 at Cincy and Saturday’s Silver Goose CX C2. With Hecht on a roll, it is fair to say the other Elite favorites might have breathed a sigh of relief knowing Hecht had his own category to win on Sunday. That was the landscape entering Pan-Ams. Last Sunday in Midland, despite the tight, technical course, the Elite Men’s race field produced a massive lead group at the front. At one point in the second lap, it swelled to 10 riders. Then one by one, the group started to get more select. Midway through the race when Jack Kisseberth could not keep the pace, it was down to Hyde, White, Van den Ham and Werner. Hyde looking to defend his jersey, and the other three looking to add a signature win for their young careers. If the Pan-Ams races were a microcosm of the season, that includes, unfortunately, injuries and illness. Jeremy Powers, who had a standout race on Day 2 of Rochester before coming down with an illness, left Midland early and took a DNS. Then in the sixth lap, tragedy struck for Hyde once again. Prior to his slip and crash at the stairs, Hyde was feeling good at Pan-Ams. At the beginning of the sixth lap, he attacked like the Hyde we have come to know—and for riders, to fear—during the past two years. Hyde’s season has obviously not gone how he hoped, but Pan-Ams presented an opportunity for him to reboot and start the second half of his season on a positive note. His ankle injury at Pan-Ams is just yet another piece of adversity he has to overcome. We are still waiting to hear Hyde’s diagnosis, but hopefully he will recover quickly and get a shot at defending his Stars-and-Stripes jersey in Louisville next month. 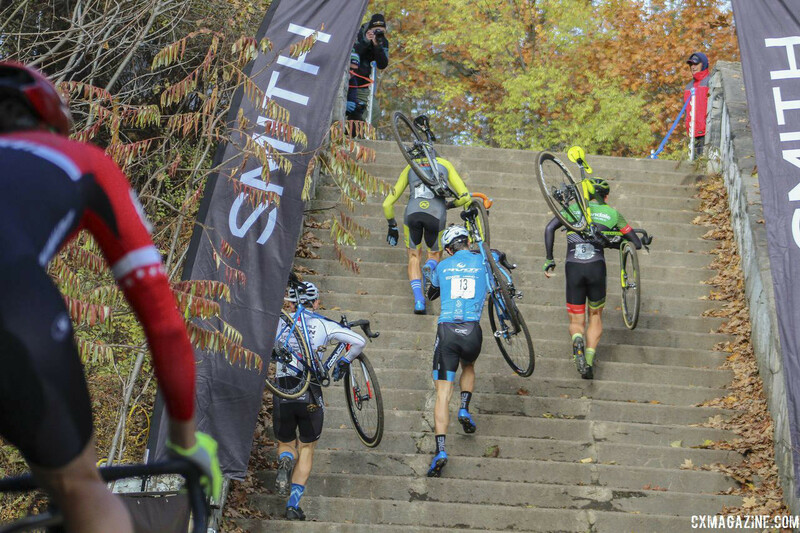 Hyde’s crash briefly held Van den Ham up at the stairs, allowing White to take a several-bike-length lead at the top of the stairs. Werner was on the edge when Hyde went down, and White’s attack was too much for him to follow. After a season of success, Werner just did not quite have the legs in Canada. He will no doubt be back for Nationals. Van den Ham, however, was not going to go easily. He showed the heart of a champion closing the gap to White in the latter half of Lap 6 and 98 percent of Lap 6. The last lap was an instant classic. The crowd roared section by section as the American and the Canadian fought for position in the last lap. 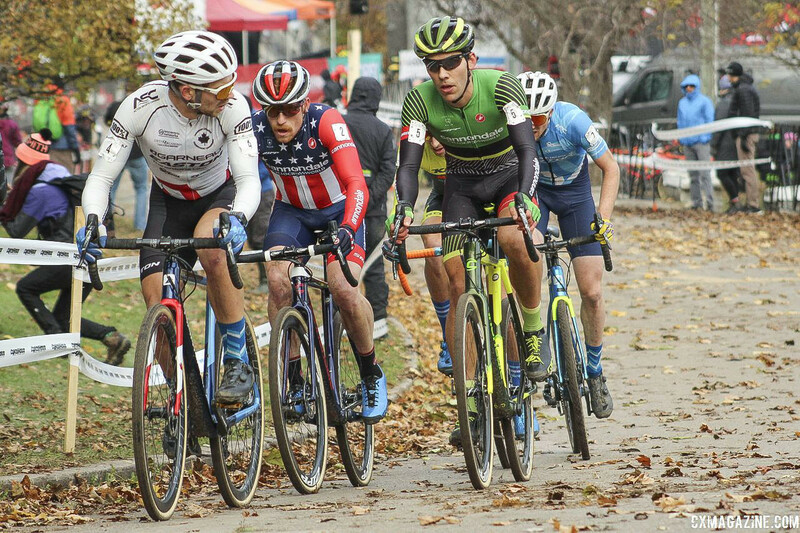 Both men really wanted the Pan-Ams jersey, and the result was one hard-fought cyclocross battle that is everything we love about the sport. 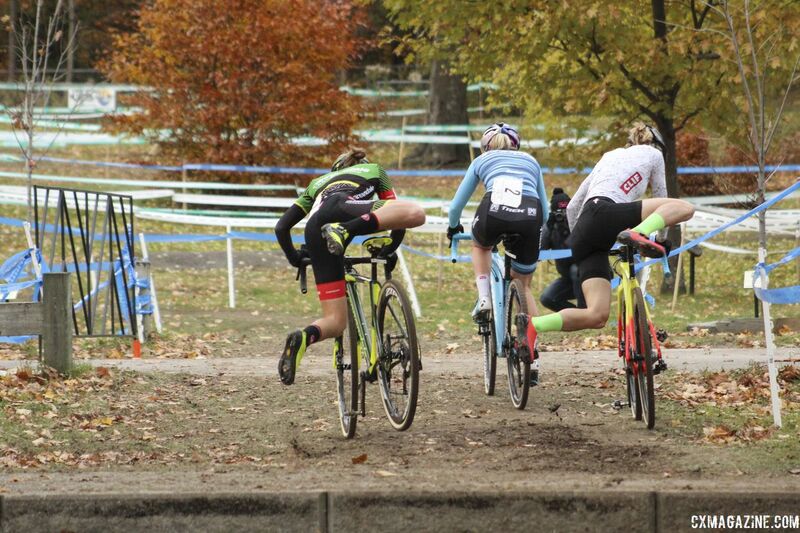 A lot has already been said about the last lap of the Elite Men’s race. White knew he would win in a sprint, and Van den Ham knew White would win in a sprint. For Van den Ham to win, he would have to get a gap on White before the finishing stretch. Van den Ham led a good part of the last lap trying to get some space, but White sat right on his wheel, following every move. Both men did exactly what they needed to do to win, but when they cleared the final section, it White was just a little more successful and in the right spot to win the sprint. He used his road skills to time the sprint perfectly and pull around Van den Ham right before the line. It was a fitting end to a phenomenal bike race. The four best North American Elite cyclocross racers left everything out on the course, and it was an impressive sight to see. Organizers of the Pan-American Championships put the Elite Women’s race in the marquee time slot for the first time ever, and they did it for good reason. 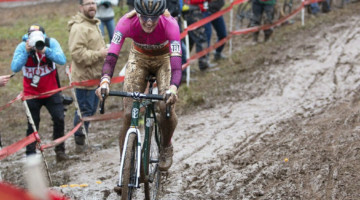 Cyclocross fans across North America had this date circled on their calendar as the much-anticipated battle between Canadian Maghalie Rochette and American Ellen Noble. 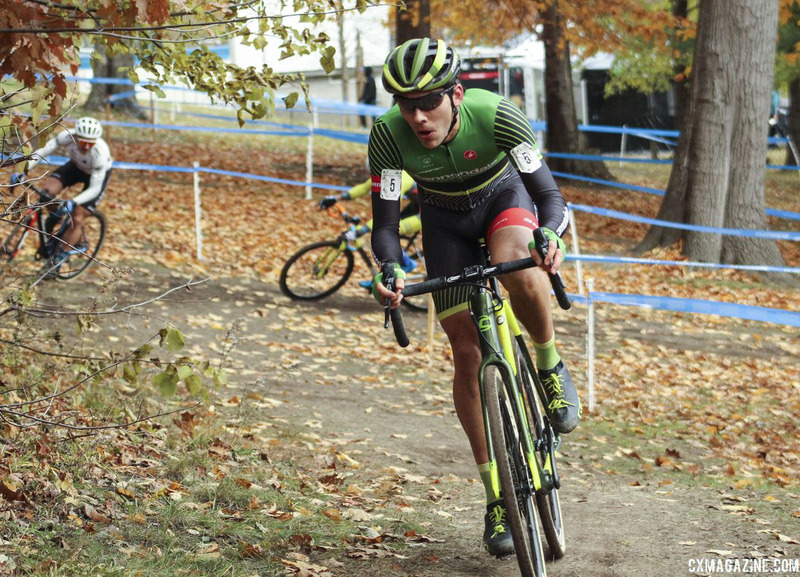 Just 25 and 22 years old, respectively, Rochette and Noble are poised to be the stars of North American cyclocross for years to come. The anticipation for the battle between Noble and Rochette was not built on hype; the two have been the two dominant riders in the domestic season thus far, and both have had impressive international results as well. This season is a big one for Maghalie Rochette. After finishing fifth at the 2017 Worlds, Rochette spent the summer of 2017 doing a full mountain biking schedule. Rochette looked at her 2017/18 results and decided to go a different route in 2018. 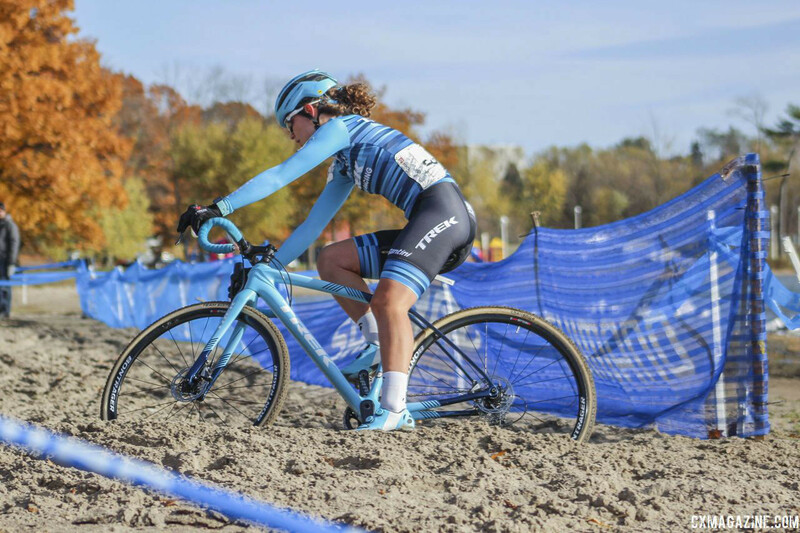 Via her CX Fever program, Rochette has made it no secret that cyclocross is her first love, and shortly before the start of this season, she left the Clif Pro Team and launched her new CX Fever p/b Specialized program to focus specifically on cyclocross. 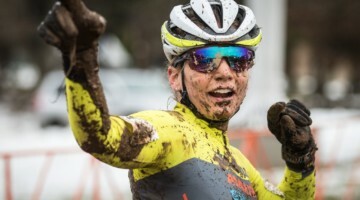 Her program got a storybook start with Rochette winning both days at Rochester and then riding away from her friend and former teammate Katerina Nash at RenoCross. The 2018/19 has also been a special one for Ellen Noble. 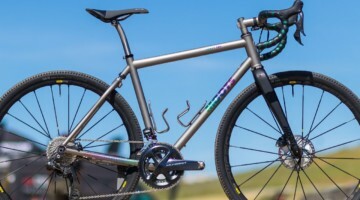 After spending several years with the JAM Fund and Aspire Racing programs, Noble signed with Trek Factory Racing to race mountain bikes and help launch the new Trek Factory Racing CX program. Noble also had a picture-perfect September. 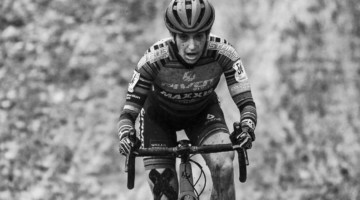 As a Trek athlete, she wanted to have a memorable World Cup Waterloo, and the result in Wisconsin exceeded her wildest dreams. Noble took the Marianne Vos down to the wire in an instant classic before finishing with a World Cup silver that turned a lot of heads. After both women had a successful September, they squared off for the third time on Day 1 of Charm City Cross. 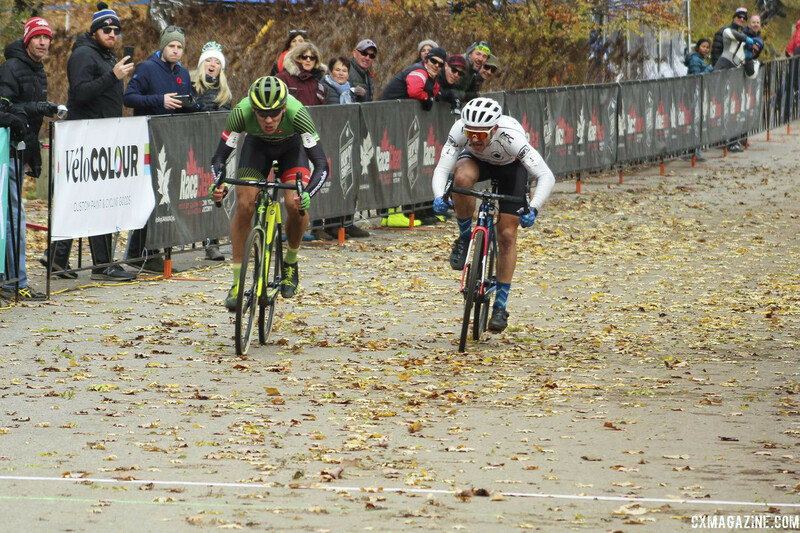 Noble and Rochette went into the bell lap together, before Noble dominated in the last lap to win the muddy race. 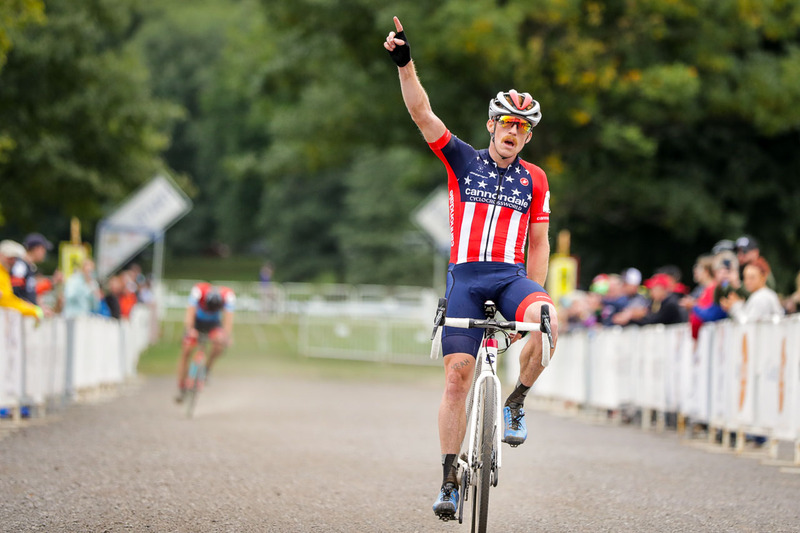 Noble won both days in Baltimore and then went on to win seven straight races, including the Silver Goose CX UCI C2 the day before Pan-Ams. 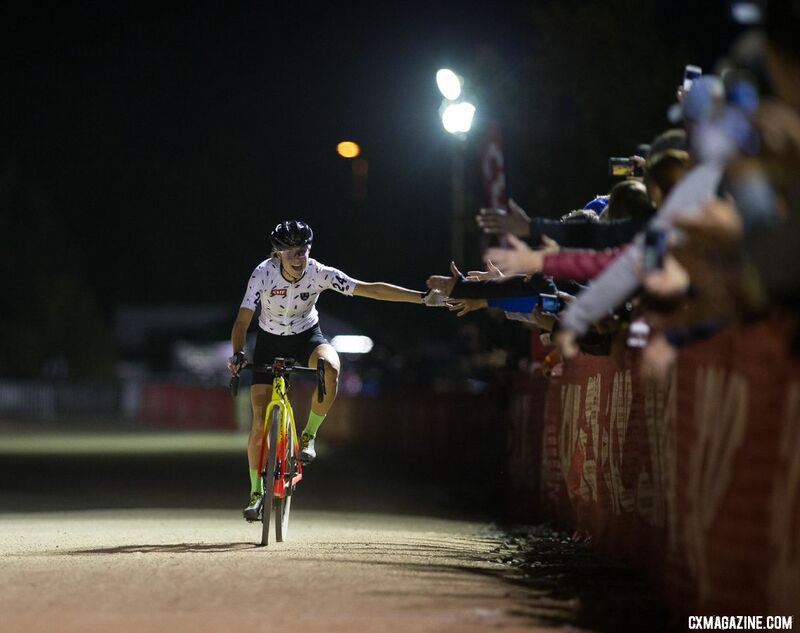 Rochette’s only result after Charm City was an impressive sixth at the Bern World Cup. The stage was set for another head-to-head battle between the two, this time with a coveted jersey on the line. A little lost amid the success of Rochette and Noble this season has been Kaitie Keough. 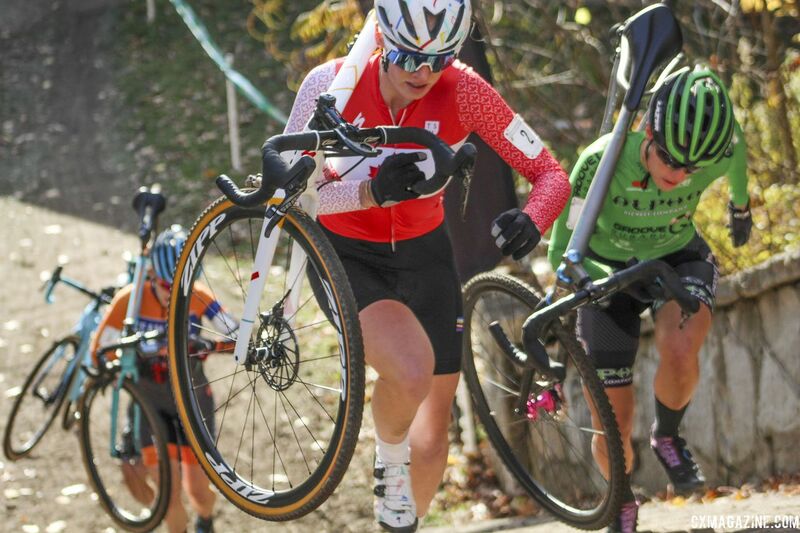 Keough comes off her most successful season as a professional where she finished second in the World Cup overall, podiumed in four World Cups and finished sixth at Worlds in Valkenburg-Limburg. Keough entered this season fighting off illness and had a slow start once the racing started. After a memorable second in Waterloo in 2017, she had a tough day in her home state this year. 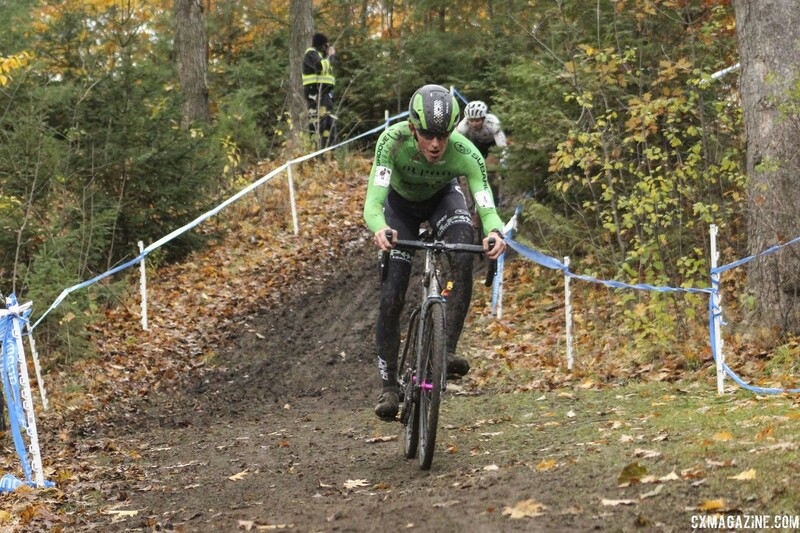 In typical Keough fashion, however, she bounced back the next week and won her first career World Cup at Jingle Cross. Keough raced well in October, but in every domestic race, she finished behind Noble. 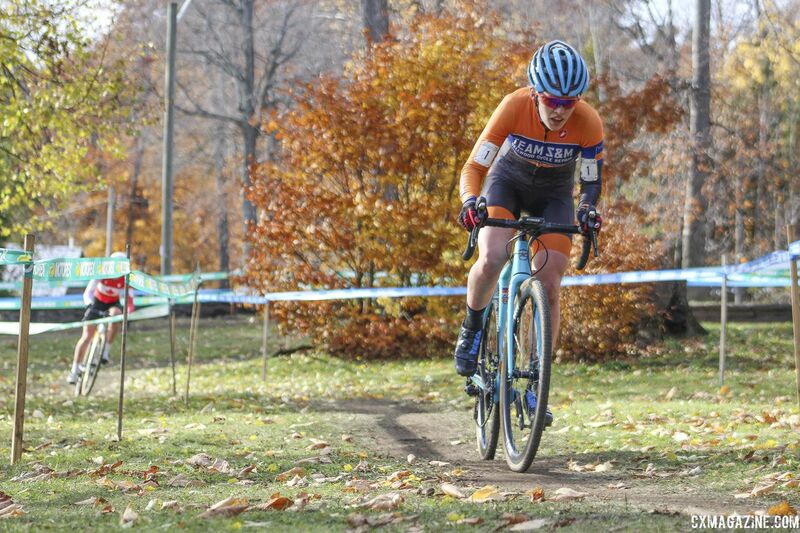 She also finished second behind Noble on Saturday at the muddy Silver Goose CX. Injuries and illness have also affected the Women’s field. 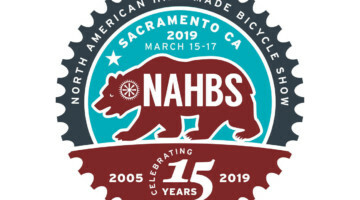 Courtenay McFadden—who finished fourth at Reno Nationals—missed a month after injuring her leg mountain biking, and Amanda Nauman—fifth in Reno—has been ill most of the season and was unable to race both days in Midland. 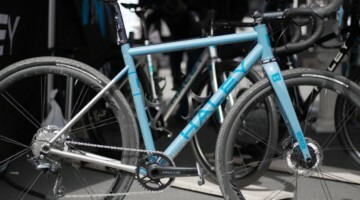 Saturday’s Silver Goose CX UCI C2 helped set the stage for Sunday’s Pan-Ams race. Noble got out to a fast start and early in the race, forced Rochette into a mistake. Rochette dropped her chain trying to make a pass early in the first lap and fell all the way back to 18th place. With her primary rival out of the picture, Noble cruised to her seventh-straight win. Rochette, to her credit, charged all the way back to take third, turning in the three fastest laps of the race (thanks racetiming.ca for the info). After that race, Rochette made note of the mistakes caused by her impatience while Noble was keenly aware of the fast lap times her Canadian rival turned in. The next day, Sunday’s Pan-Ams race followed the 2018 script perfectly. Noble, Rochette and Keough all got off to good starts, and the trio was quickly off the front. Noble settled in after the other two women stuck her wheel early, and Rochette bided her time, not making any rash moves like she did on Saturday. With the two rivals marking each other, Keough was not afraid to mix things up and take the lead for over a lap. However, at the end of the third lap, Rochette decided to increase the pace, and Keough was unable to keep up. The much-anticipated duel between Rochette and Noble had arrived. With the two riders near parity in power and handling ability, there was a good chance the race would come down to one attack or one mistake. Rochette took the lead at the start of the fourth lap and after clearing the stairs, was really starting to put pressure on Noble. Noble closed Rochette’s gap, and the duo headed to the last sand section with nary a centimeter between them. After Rochette made a mistake trying to pass Noble on Saturday, Noble crashed trying to pass Rochette at Pan-Ams. The decision gave Rochette a 10-second lead heading into the last lap. One decision, one moment, was the difference in the Elite Women’s race and who will be wearing the Continental Champion’s jersey for the next year. 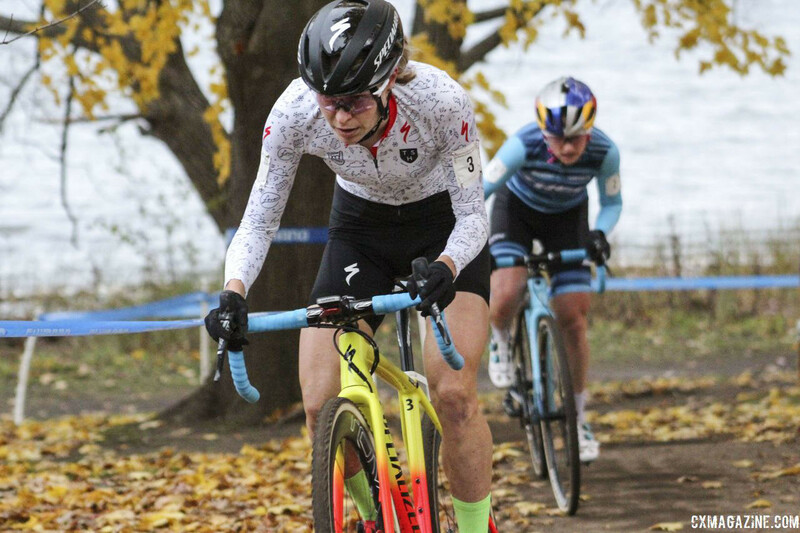 Rochette grabbed the Pan-Ams jersey for the second time in her career and in turn, gave the Canadian fans in Midland a severe case of CX Fever. Noble and Rochette will not race against one another domestically again this season, but they are likely to square off in Europe quite a bit later this season. 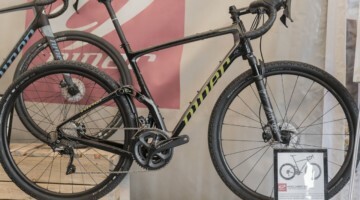 Few observers of this season will be surprised to see the two women battling for a podium or win in a Superprestige or World Cup in the coming months. I have used a lot of words to establish that the results of Pan-Ams were not a fluke, but if you need more proof, results from this recent weekend verify what we saw in Midland. 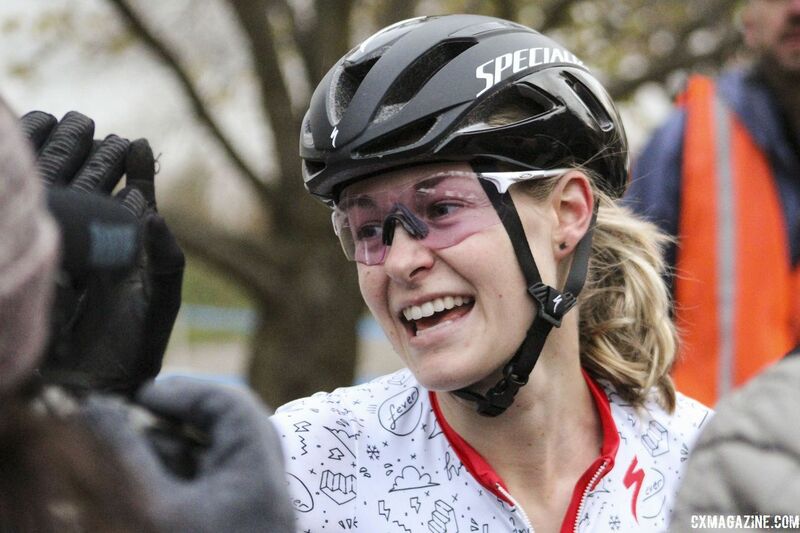 Both Rochette and Van den Ham won Canadian National Championships, Noble won her race at Northampton on Saturday and White swept the Noho weekend for the third straight year. 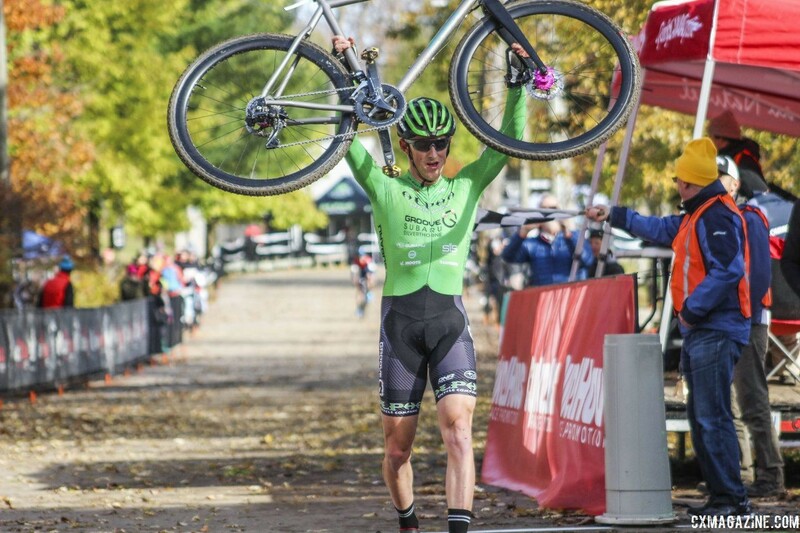 After winning the C1 at Cincinnati and the Silver Goose CX C2, Gage Hecht was the odds-on favorite to win the U23 Men’s race. After having a disappointing Nationals marred by a flat (he still finished fourth), Hecht knows you cannot take any race for granted, and midway through Sunday’s race, he used his power to get away from Eric Brunner and Cooper Willsey. Hecht has long been one of the top young talents in the U.S., and this year, we are getting a look at what he can do. After finishing ninth at Worlds in Valkenburg-Limburg, we are all interested to see what he can do on the world stage the next few months. Clara Honsinger also entered Pan-Ams as a heavy favorite to win a championship. Honsinger finished second behind Emma White at both Pan-Ams and Nationals last season, so she returned as the favorite in the category this year. 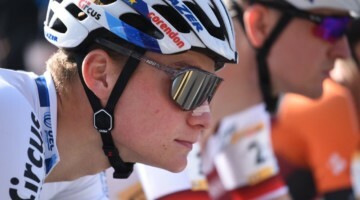 Honsinger’s success has not been limited to the U23 category, however. With her results in Reno, Cincinnati and Saturday in Midland, she has put her name in the conversation as the best North American rider outside the top echelon of Noble, Keough, Rochette and Katie Compton. 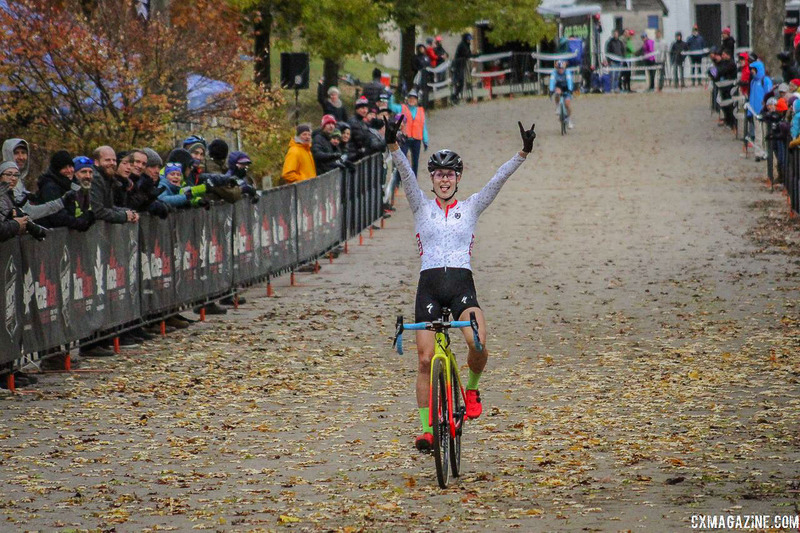 After suffering an injury over the summer, Ruby West is returning to form, and the U23 Canadian national champion gave Honsinger a tough test before the Oregon native pulled away to convert on her favorite status. The past few years of U.S. Junior cyclocross have been led by the racing age 18 riders. Last year, it was Lane Maher and Ben Gomez Villafane, the year before Denzel Stephenson and the year before that Gage Hecht. You have to go back to Gage Hecht in 2015 for the last time a racing age 17 U.S. rider won Nationals. This year in Midland, the stars were two young riders in Magnus Sheffield and Nick Carter. 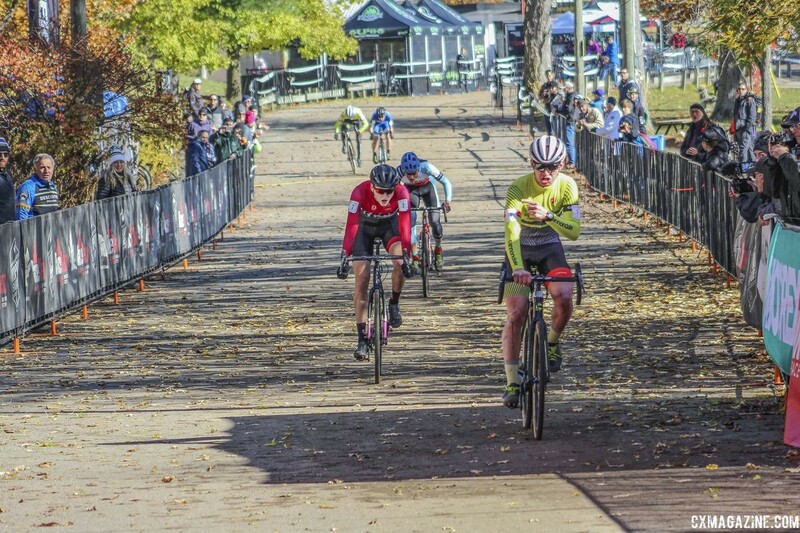 Carter excels when conditions turn ugly—as seen when he won Junior 15-16 Hartford Nationals—and not surprisingly, he won Saturday’s race at the Silver Goose CX. 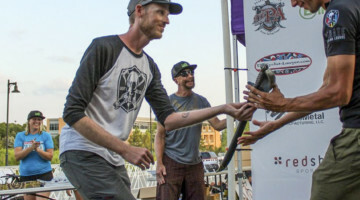 Sheffield delivered one of the most impressive Sunday races at Reno Nationals when he won the Junior 15-16 race, showing his comfort on dry, fast courses. With the mud in Midland all but gone on Sunday, Sheffield took top honors out of a group of five that lasted to the final finishing straight. Carter emerged from the scrum in second. Canadian Junior Carter Woods finished third at Pan-Ams, and showing the finish was legit, went on to win Canadian Nationals in Peterborough on Saturday. Chances are good we will be hearing a lot from these young riders in the years to come. There are only three more North American race weekends between now and U.S. Nationals in Louisville on December 16. 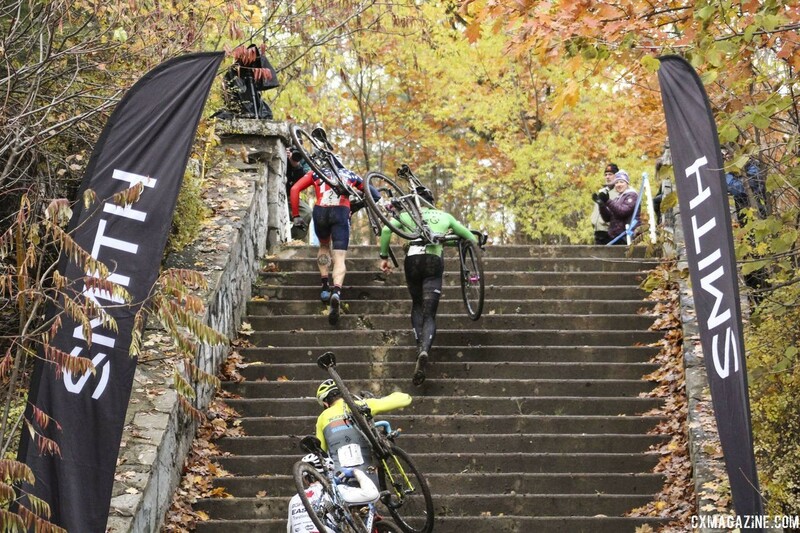 Both the NBX Grand Prix of Cross on December 1 and Ruts and Guts on December 8 are UCI C1s, so we should get a last look or two at the top U.S. talent in one spot before Louisville Nationals. A lot can change in a month, but if the races in Midland are any indication, this year’s championships in Louisville should be good ones. A number of U.S. riders came away from Pan-Ams without the jerseys they wanted so badly, so their motivation to win the Stars-and-Stripes should add some extra competitive fuel to the fire. Great write-up. I feel like you’re glossing over Ellen’s pass attempt though. I watched the post race interview, and although she was very poised, I got the feeling she thought Maghalie aggresively shut the line down on her.